What it is: An indulgently luxurious anti-aging shampoo that repairs damaged hair, while creating ultra-volume that has been lost over time. Leaves hair extremely silky with a Platinum & Diamond shine. What it does: Revitalizes hair with renewed youth and luxurious volume. Lavish Platinum & Diamond powders combine with a potent cocktail of vitamins, cutting-edge peptides and trace elements deeply penetrate the scalp and the heart of the hair fiber to repair from the inside out. 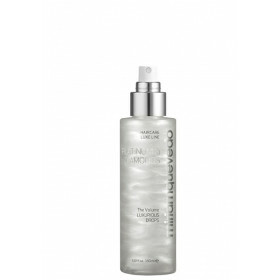 Restores hair’s electrical balance while creating exceptional body and luxurious shine. Who it’s for: For all hair types, especially fine hair with little volume. What it’s free of: Formulated without Sulfates, Parabens, Mineral Oils, Phthalates, Paraffin, or Petrolatum. - : Acts against hair aging process. 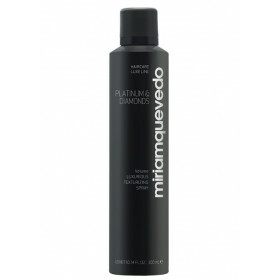 - : Intensely moisturizes, nourishes and revitalizes hair. - : High antioxidant action. - : Restores the hair’s electrostatic balance. - : Repairing action: restructures broken keratin links. - : Helps to protect against hair collagen degradation. 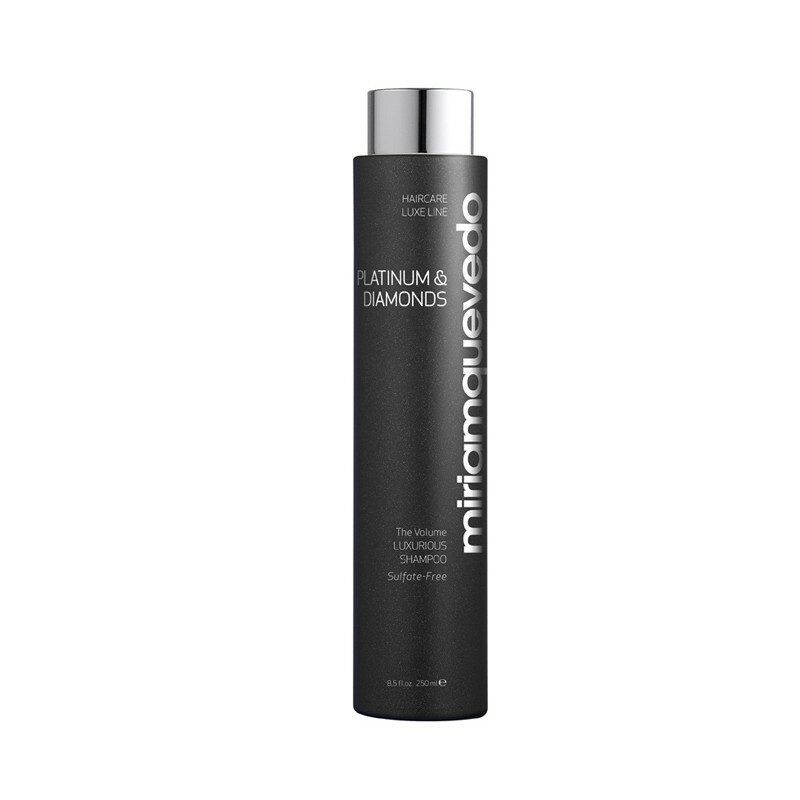 -- : Protects and repairs the hair’s hydrolipid barrier. - : Restores voluminous hair. - : Restores hair’s extreme silkiness. - : Gives hair new body. - : Restores a powerful diamond shine. - : Facilitates combing thanks to its conditioning properties. - : SIN SULFATOS. SIN PARABENOS. SIN ACEITE MINERAL. SIN FTALATOS. SIN PARAFINA. SIN PETROLATUM. Shake to activate the creamy formula. Apply to wet hair and scalp. Massage in gently to create a lather. Leave on for 2 to 5 minutes. Rinse thoroughly. In case of contact with eyes, rinse immediately. Diamond Powder: Treats the hair and scalp to the quintessential Luxury of Diamond Powder. Great regenerating, moisturizing and nourishing properties, with antioxidant activity. Diamond Powder restores a sensual and unique Diamond shine. Platinum Powder: One of the world’s most precious metals with revitalizing and anti-aging properties. It improves hair elasticity and helps maintain its electrical balance, so that essential substances can be absorbed more easily to keep the hair healthy. It also provides long-lasting hydration, depending on weather conditions. It also gives hair a soft Platinum radiance. Thermal Water: Mineral water from Hot Springs Salies de Bearn des Gaves. It is classified as sodium chloride and is rich in Calcium, Magnesium, Iron, Manganese, Zinc and Copper. Organic Argan Oil: Has amazing nourishing and revitalizing properties for the scalp and also strengthens the hair, leaving it soft and shiny. Organic Acai Extract: Rich in anthocyanins (10 times the antioxidant power of red grapes), minerals and vitamins. Hydrolyzed Keratin Peptide: High film-forming action. Its ultra-repairing and softening properties for the capillary structure, create a protective film that restores the hair fiber, including damaged ones. Brightens, softens and moisturizes. Intense thermal protection. Marine Collagen Peptide: Softening and conditioning effects. Repairs the damaged structure. 7-Trace Elements Complex: Inhibits the 5-alpha-reductase and influences the follicle’s metabolic balance. Multi-vitamin 8 Complex: Cocktail of 8 vitamins: A, B2, B5, B8, C, E, H and PP. Revitalizing and anti-seborrheic action. Involved in the hair growth metabolism. Strengthens, protects and stimulates. Orchid: Has hydrating, smoothing, anti-irritant and antioxidant properties, making it ideal for hair care products to protect against the daily aggressions of free radicals. 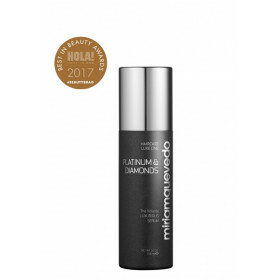 Protective Hydrolipid film based on coconut and Olive oil: Helps to preserve and restore the hair’s protective hydro-lipidic film. Volume agents: Promote hair volume. Natural surfactants derived from Coconut Oil and Oat: Ultra-light, smooth and scalp-friendly. Minimizes color fading. 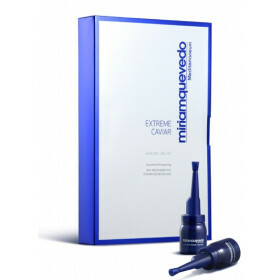 Caviar: Effective anti-aging action. One of the most selective and exclusive cosmetic ingredients, thanks to its lipoprotein complex. It protects the scalp and hair, and promotes restructuring. Excellent moisturizing and protective properties.